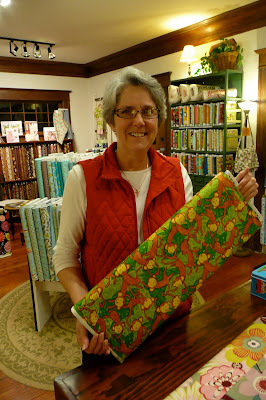 At this month's Sew Club we had a special guest... my mom. Like Marie, the co-owner at Cool Cottons said, she was like our Room Mom. You know, the cool mom that helps your class in elementary school. She's always the one that everyone loves. And that was my mom ... she pinned, she advised, she was awesome. It was lovely... truly. 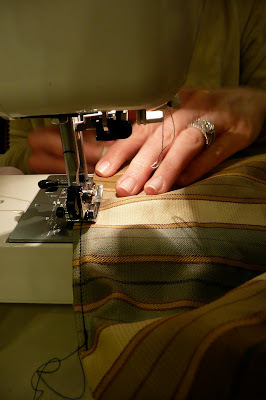 And as usual, we drank wine, laughed, chatted and oh yah, sewed. We got a really late start but everyone finished the project. Awesome! You guys are SO talented! Such fun with you girls! The finished tote bags were so beautiful.